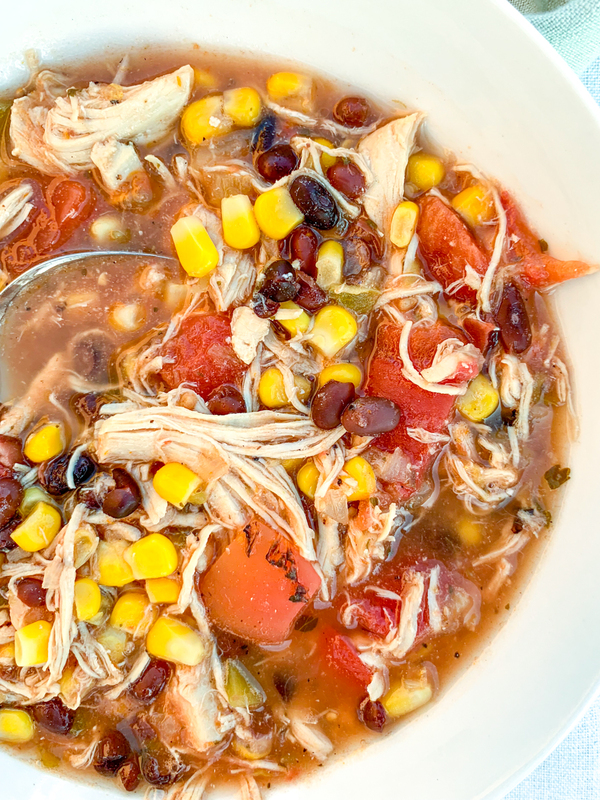 Chicken Taco Soup with Salsa Verde has been a hit everytime I serve it. It’s easy to make and so delicious. I really like making a pot of soup for the weekend that way when family and friends stop by I can quickly serve them a hearty and tasty meal! 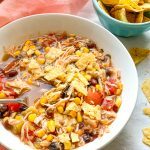 Some of my other favorite soups to make are Instant Pot Potato Soup, Chicken Tortilla Soup, and Instant Pot Vegetable Soup. 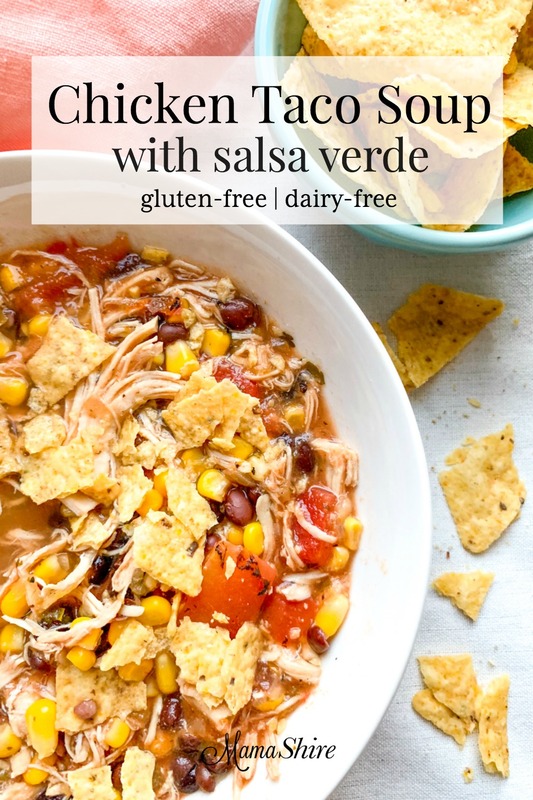 Let’s Make Chicken Taco Soup wth Salsa Verde! 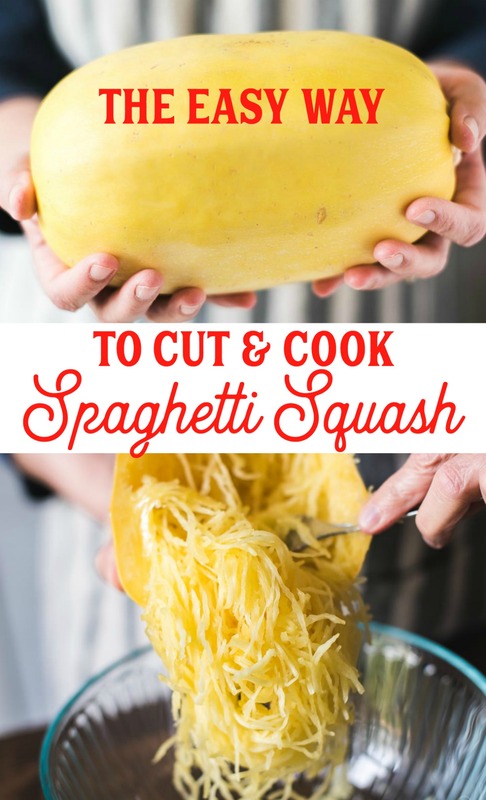 This soup is so easy to make! All you need to do is open some cans and pour everything into a big pot, add shredded cooked chicken and bring to a boil. Then reduce heat and let simmer for at least 15 minutes. 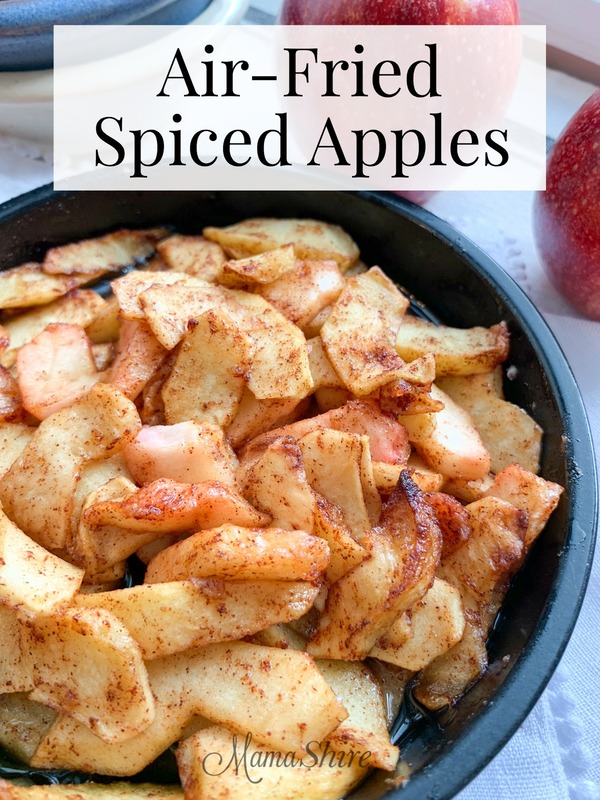 It can simmer for an hour or kept on low in a crock pot for a few hours if you’re serving guests or having it at a party. One of the things that make my soup making easier is having the protein all ready prepped. I like to cook several chicken breasts in my instant pot and then shred them and place in 4 cup portions in freezer bags. 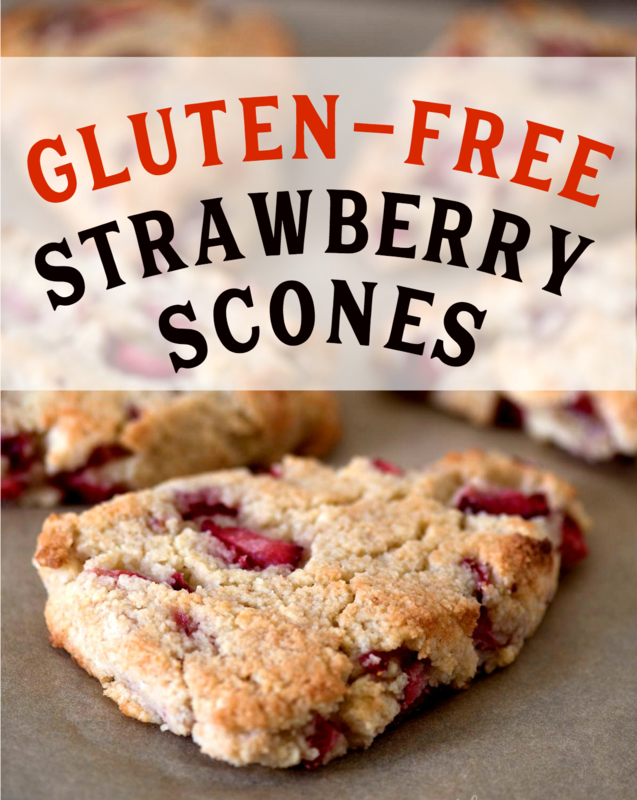 You could also use canned chicken or rotissorie chicken but make sure that it is gluten-free! Trim Healty Mamas this soup is an E.
Want to remember this? 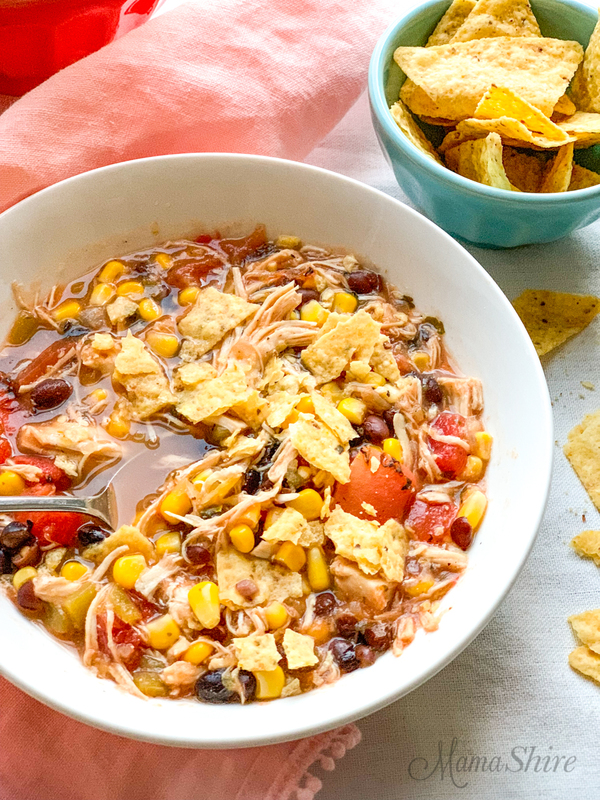 Save this pin for Chicken Taco Soup with Salsa Verde to your favorite Pinterest board!